If you desire to live and work in the United States lawfully, the Yew Immigration Law Group in San Jose, California, can help you understand your options and work toward those goals. Our firm also partners with Silicon Valley businesses to help them identify the visas in order to hire talented individuals from the global market, allowing our American employers to provide the best and most innovative services and products to the clients they serve. Born in Hong Kong, Ms. Yew immigrated to Southern California when she was a child. Coming from an immigrant family, she understands all too well the unique struggles and challenges foreign nationals can face when trying to navigate the complex and time-consuming process of obtaining legal status. As such, she established our law firm as a way to better serve those in need and assist them in securing a brighter future for themselves and their families. Having practiced law for more than 20 years and possessing a diverse background that includes extensive civil litigation experience, Ms. Yew has the skills and resources necessary to help you protect your rights and entitlements and achieve your goals. 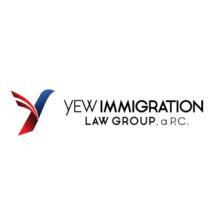 For more information on how the Yew Immigration Law Group can best serve your needs, you can contact our law office to schedule a consultation.